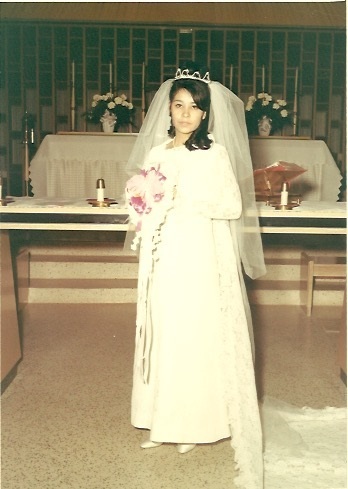 Our beloved Grace celebrated her 50th wedding anniversary on Friday, March 29, 2019 and passed away peacefully at home on Saturday, March 30, 2019. Grace was born in 1948 in Albuquerque, New Mexico to Ricardo and Sofie Candelaria who preceded her in death. She is also preceded in death by her beloved son, Pete Sanchez III. 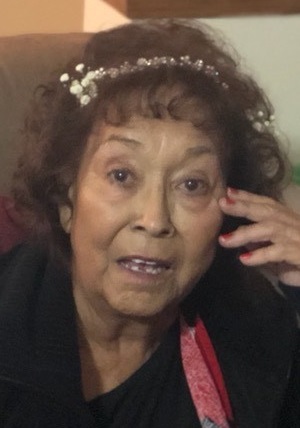 Grace is survived by her loving husband, Pete Sanchez Jr.; her loving daughter and son-in-law, Carla (Sanchez) Aguirre and Eliseo Aguirre; grandchildren, Marcus Ortiz II, Matthew Ortiz, Eliseo Aguirre J, Reyna Aguirre and Pilar Aguirre. Other loving family members include, Michael Sandoval, Richard Candelaria, Theresa & Ivan Aldereta, Tina & Chris Melburn, Anna & Ralph Aragon, Sandra & Eugene Cordova, David Candelaria, Lorraine & Henry Torres, Mary & Peter Harmon, Gloria Guerrero, Millie & Richard Cariño, Mike & Lina Sanchez, Fred & Rita Sanchez, Anna Sanchez, and Lindana (Sanchez) Humphreys. Grace is also survived by many nieces, nephews, cousins, friends and neighbors. To our beloved wife, mother, grandmother, sister, aunt, and friend, we thank the Lord for the many wonderful years we all shared with you and will remember all the love she provided for her family and her wonderful sewing creations that will be passed down for generations. We love you and will miss you dearly! A Funeral Service will be held Monday, April 8, 2019 at 10:00 a.m. at Calvary Church, 4001 Osuna Rd. NE, with reception to follow services. Internment will take place at 2:00 p.m. at Mount Calvary Cemetery.